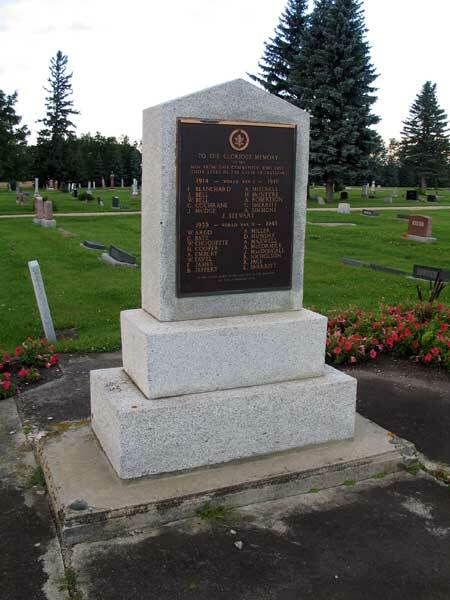 A monument in the Oakville Cemetery in the Rural Municipality of Portage la Prairie commemorates soldiers from the Oakville area killed during military service. 1. McIntyre appears to have enlisted in Portage la Prairie as Henry Stewart McIntyre (service number 425635) on 17 September 1915. He was declared “medically unfit for duty” and discharged in January 1916. He enlisted again in Winnipeg as Henry McIntyre (service number 718572) on 16 February 1916.